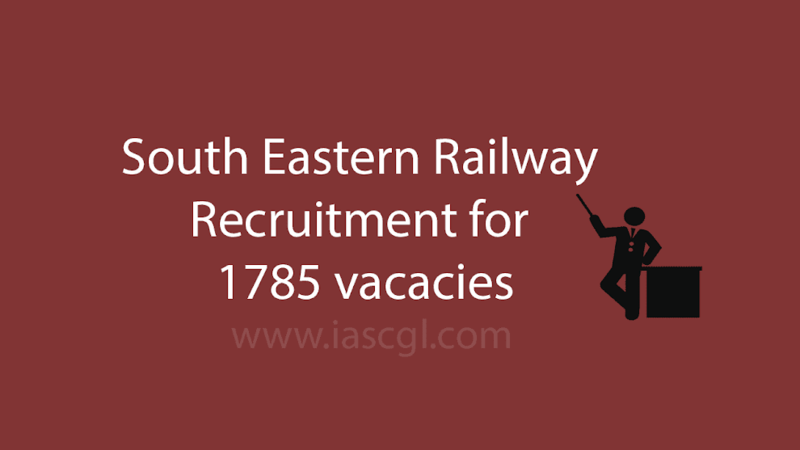 South Eastern Railway has invited applicant for 1785 various vacancies. South Eastern Railway has invited applicants for filling up online application againest the various vacancies by South Eastern Railway. There are total 1785 vacancies againest which applicant have to apply. Canidate can get details of the various vacancies. South Eastern Railway Vacancy List – Kharagpur Workshop. The age of candidate should be between 15 to 24 years as on 01.01.2018.